The Japanese-bred horse will also be nominated to the Grade 1 $500,000 Fourstardave Handicap. A year ago, Good Samaritan made his dirt debut a winning one, defeating Kentucky Derby winner Always Dreaming and Preakness winner Cloud Computing in the Grade 2 Jim Dandy Stakes at Saratoga. Now, those same connections – trainer Bill Mott and an ownership group that includes WinStar Farm and China Horse Club – are considering a similar surface switch with the 4-year-old Yoshida. Yoshida, a Japanese-bred son of Heart’s Cry who most recently finished fifth in the Group 1 Queen Anne Stakes at Royal Ascot, could make his dirt debut in the Grade 1, $1.2 million Whitney Stakes at Saratoga on Aug. 4, Mott said Sunday. Yoshida’s dam is Hilda’s Passion, a five-time graded stakes winner on dirt, including the Grade 1 Ballerina in 2011. On Sunday, Yoshida worked a half-mile over the Oklahoma training track in 50.28 seconds, going his first quarter in 26.68 seconds and his last quarter in 23.60. He galloped out five furlongs in 1:03.50. It was Yoshida’s first work since he lost the Queen Anne by only 1 1/4 lengths. Earlier this year, he won the Grade 1 Turf Classic at Churchill Downs on Kentucky Derby Day. 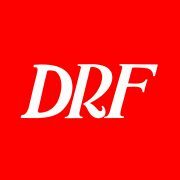 Mott said Yoshida also will be nominated to the Grade 1, $500,000 Fourstardave Handicap, a one-mile turf race here on Aug. 11. Whichever race Yoshida runs in, Good Samaritan likely will run in the other, Mott said. Good Samaritan is a Grade 2 stakes winner on turf and dirt. Earlier this year, he won the Grade 2 New Orleans Handicap on dirt and most recently finished seventh in the Grade 1 Metropolitan Handicap at Belmont Park. Good Samaritan was scheduled to work at Saratoga on Monday.